Nestled in September’s update is a new feature on Clash Royale – Challenges. Challenges are a blend of both tournaments and regular play, in that tournament rules are used, but there’s no timeframe specified for challenges, so you can play them as frequently or infrequently as you wish. If you’re unfamiliar with them, the specifics of tournament rules aren’t hard to come by – assuming you’re in a clan (which you totally should be! ), just click “Friendly Battle”, and without actually requesting a friendly battle, you can click on the little “i” to view all the various caps. 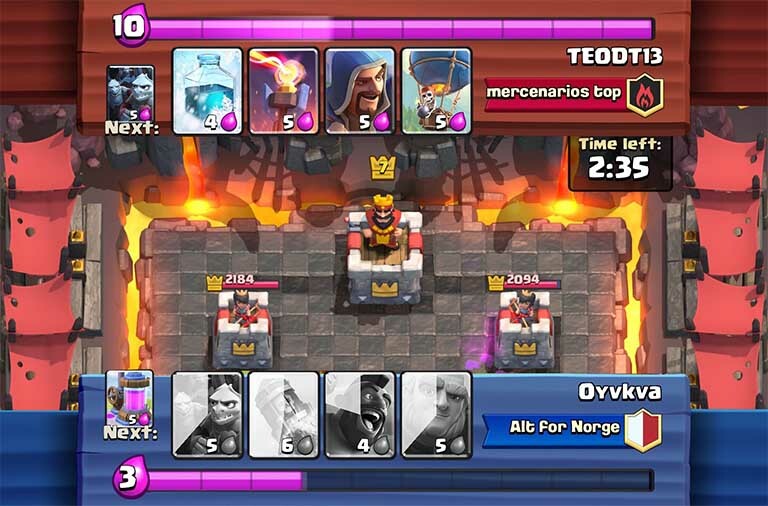 If you’re at the 2000 trophies level or higher, you’ll probably have a few of your favorite cards nerfed, and quite possibly your King Tower too. I’d say that most people who are far into the game are at King Level 10, with Legendaries in the 1-2 level range, Common cards at 10 or 11, Rares at 7-8, and Epics at 3 or 4. Tournament rules definitely level the playing field and for veterans, tournament rules really do have a different “feel” to the game. Don’t forget that overtime is extended to 3 minutes, in order to cut down on draws. 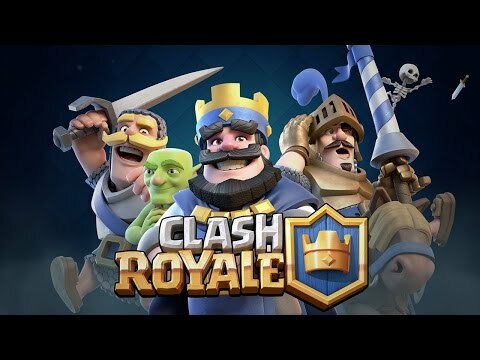 There are two kinds of Challenges in Clash Royale – Classic and Grand. The idea is to play matches and rack up as many victories as possible, up to 12, without losing 3 times. Each time you win, your reward goes up exponentially. 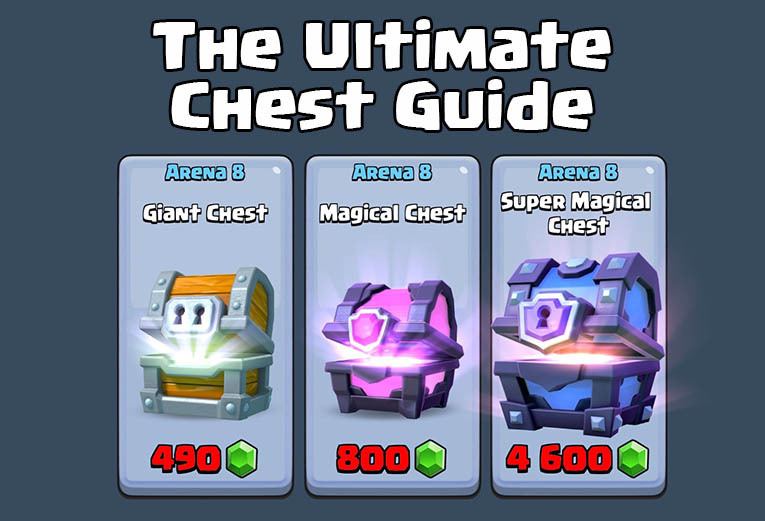 Challenge chests contain both gold and cards. The more wins you rack up, the more gold you’ll get and the better your cards will be. Top prize for the Grand Challenge is 22000 coins, and 1100 cards, which includes 110 Rares and 11 Epics. For Classic, the top prize includes 2000 coins and 110 coins, which includes 11 Rares and 1 Epic. The rates are kind of the same, i.e. Grand Challenge’s rewards are roughly 10 times the amount of Classic Challenge at 10 times the cost, although there is a slight edge to Grand Challenges, but the risk is greater – if you have a bad streak of 3 games, you might be out of the challenge sooner than later, and your rewards will be rather blunted. Classic Challenges cost 10 gems, while Grand Challenges cost 100. That can get expensive, but I have news for you – if you’re already using gems to buy coins, which you really should be, I recommend playing challenges as often as you can to maximize your profit. In the long run, you should come out on top in a big way. Let me elaborate. For a pouch of gold, you put in 60 gems to get 1000 coins. Rounding up, that’s a rate of 17 coins per gem. The minimum reward (that’s right, you get a reward even if you lose all three matches!) is 130 gold and 2 cards in Classic and 1400 gold plus 20 cards in Grand Challenge mode. So going back to the ratio I mentioned before, that’s 13 or 14 gold per gem depending on which mode you play, and that’s your worst-case scenario. As soon as you hit your first win, you’ll have already surpassed the return you would have gotten from swapping gems for gold in the shop. Here’s an anecdotal example. I played 9 Classic Challenge matches in a single run – lost two early, had a bit of a win streak, and eventually lost my third match, but not before racking up six total wins. The minimum reward, as I mentioned, is 130 gold. The first win is good for 50 gold, and the reward increments the gold by 20 for every win after that (so 70 more for the second win, 90 more for the third win, and so forth). Six wins brings the total to 590 gold, and on top of that I got 2 Barbarian Hut and 21 Zap cards. 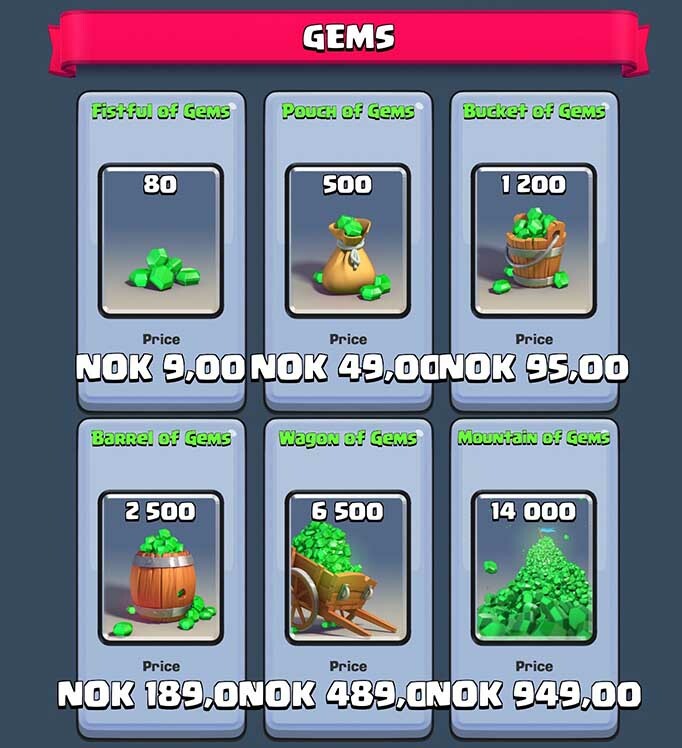 That’s an astounding rate of 59 gold per gem I invested, massively eclipsing the basic rate of 17 gold per gem as found in the shop. Also, there are achievements tied to racking up Challenge wins, so you’ll get some extra gems and XP for your trouble once you hit certain benchmarks (4/8/12 wins). Here’s another great reason to play Challenges – they don’t affect your trophy count. So if you want to try out a new deck, or you want to get some rounds of Clash Royale in but worry about dropping your trophy count and falling to a lower arena, playing Challenges is a great way to pass the time if you can’t find a good tournament or if friendly battles amongst those in your clan have worn thin. Ideally, you want to start Challenges once you get your cards and King Level as close to the level caps as possible just so you’re putting your best possible foot forward and you won’t be outmatched. 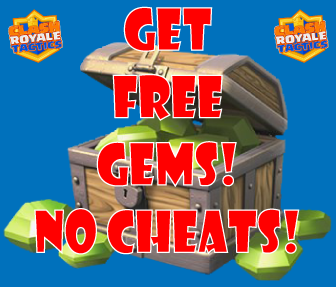 But once you find your groove and hit level 8 or 9, I solidly recommend putting your gems almost exclusively toward Challenges because the returns are just too good to pass up.